it was middle eastern mayhem the other weekend after i followed the silk road (97 avenue) to 134 avenue and discovered an arabian paradise. well, paradiso anyway. and sunbake, elsafadi, and hajar’s halal butcher. what am i talking about? little lebanon of course – an area of 134 avenue between 107 street and 113 street full of fantastic grocery stores, bakeries and butchers that promise to have something for everyone. 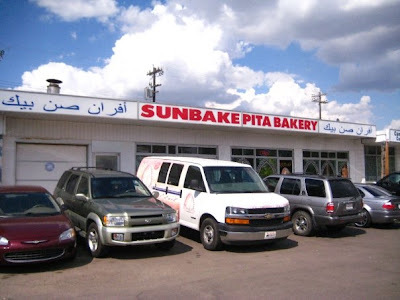 my bud and i started off at sunbake pita bakery where we loaded up on fresh pita, hummus, and ekawi cheese pie; big thumbs up to the pita and cheese pie, but the hummus was a little heavy on the tahini for our tastes. next we headed west to elsafadi bros super market. 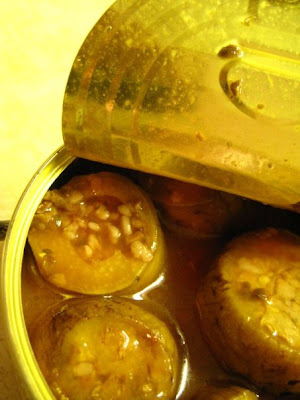 here we discovered the wonders (or so we thought) of canned appetizers. you would think that we would know better, but we didn’t. stuffed dolmades and aubergines enticed us with their fancy packaging and promise of tastiness inside. LIES! 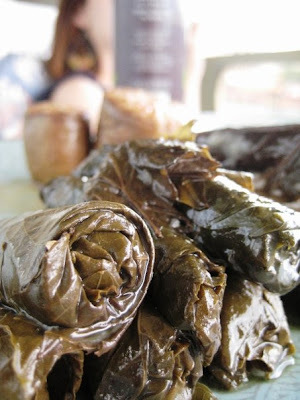 it made us sad, but did not distract from the hundreds of other fascinating and tasty things to buy at elsafadi, including reasonably priced produce, and fun middle eastern treats – many of which aren’t canned. paradiso called my name from the same strip mall as elsafadi. 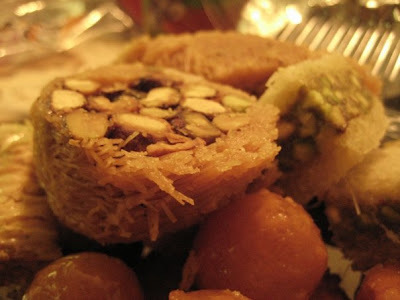 i went a little overboard on buying various baklavas and doughy treats (okay – a lot!) but it was so much fun! and everything tasted great, but be careful: some of the treats make sugar seem bitter, so handle with care. 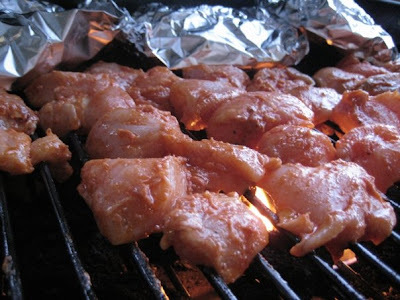 finally it was around the corner to hajar’s halal meats for a big bag of chicken pieces cut and marinated in a delicious. 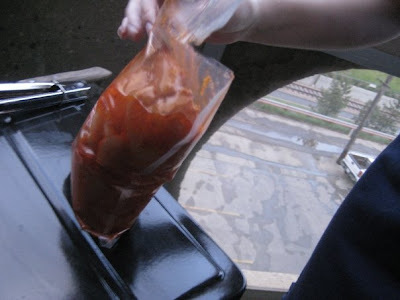 $13.00 for this bag – and the chicken tasted great, particularly with some tzatiki. this is not a cheap expedition, particularly if you’re like me and start getting carried away the moment you see new food options. pace yourself, and know that these fantastic places aren’t going anywhere anytime soon, so relax and enjoy!